Systemic enzymes have been around in Chinese medicine for many years. They are very popular in Asia and most of Europe. Basically they can support each and every function of the body. Enzymes are essential for everyone with any type of digestion issue. Many people with cysts, scar tissue and internal inflammation report great success with natural remedies, like Serracor. 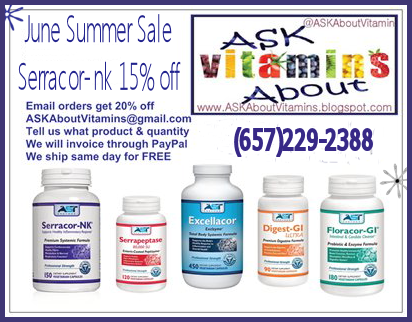 Serracor naturally helps with inflammation associated with arthritis, fibromyalgia and gout.